Fleishman, Thelma. Newton. Arcadia Pub, 1999. Muir, Diana. 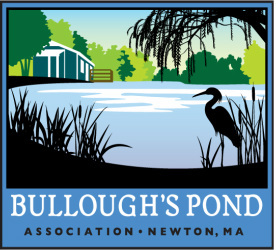 Reflections in Bullough's Pond: Economy and Ecosystem in New England. Upne, 2002. Smith, Samuel Francis. History of Newton, Massachusetts: Town and City, from Its Earliest Settlement to the Present Time, 1630-1880. American Logotype Company, 1880. Sweetser, Moses Foster. King's Handbook of Newton, Massachusetts. Moses King Corp., 1889. Worth, Douglas. Once Around Bullough's Pond: A Native American Epic. WL Bauhan, 1987.